The manufacturing of security document paper represented a core business activity at Stowford Paper Mill. This was particularly so in the latter decades, where it accounted for around half of the product portfolio, with the mill recognised as a world leading supplier. Security papers can be categorised as any document designed to deter fraudulent activity, the illicit alteration of a genuine document, or combat counterfeit activity, the illicit reproduction of a document to pass as a genuine one, (a fake), by the incorporation of special features. Protecting documents from fraud can be tackled in several ways, often in a complementary approach between paper manufacturer and security printer. As fraud commonly entails the removal or alteration of print or pen ink, such as the amount on a cheque or perhaps attained grades on an exam certificate, the paper must incorporate features that demonstrate tamper evidence. To combat counterfeiting, the paper must incorporate features that can serve to identify or authenticate that a document is an original. The Security Paper sector includes cheque papers, bonds, passports and other identity documents, lottery tickets and sweepstakes, share certificates, gift vouchers, excise stamps, ballot paper and academic exam certificates to name but a few. It also includes important legal documents, such as birth, marriage and death certificates, vehicle registration documents and driving licences. Watermarks have historically proved to be an excellent method of verifying the authenticity of a document, particularly as everyone is familiar with the concept. The ability to produce high quality watermarks was a recognised strength of Stowford Paper Mill and provided the basic foundation for practically all security documents. Should a watermark be insufficient in isolation, the paper could be enhanced by the addition of other obvious (overt) features, or hidden (covert) security inclusions, or indeed a combination, to best suit the end-use. 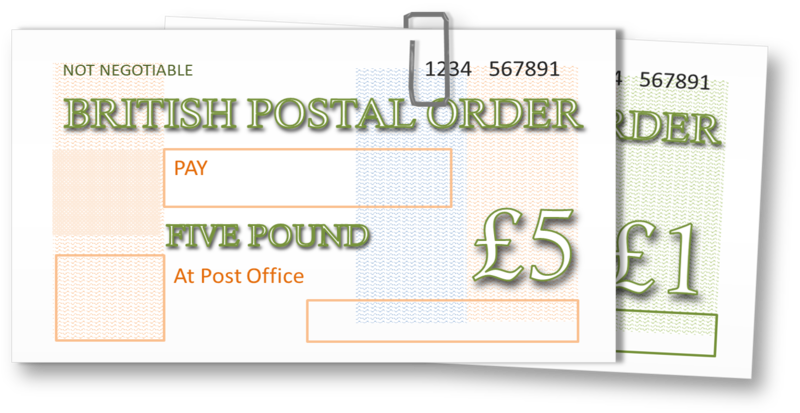 The postal order evolved from the money order, which had been established in 1792. 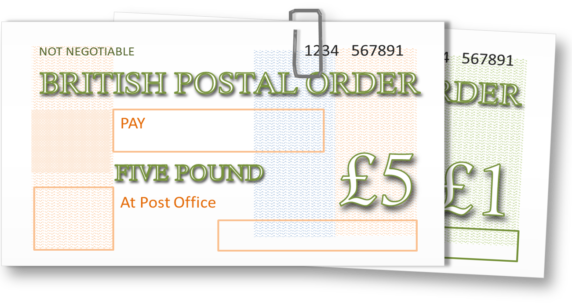 The first postal orders in the United Kingdom were issued on 1 January 1881 and was the first country to use them. The first postal order paper produced incorporated a watermark ‘Postal Order / One Shilling’ as a counter forgery device. During World War I and World War II, British postal orders were temporarily declared legal tender to save paper and labour. In 1880 the issue of Postal Orders was first authorised by Act of Parliament and arrangements were made by the Post Office for Portals of Laverstoke to supply the paper which the Bank of England printed. In 1885 Portals installed a Fourdrinier paper making machine to produce the Postal Order paper. A need for further production capacity became prevalent in 1906 with the introduction of the Old Age Pensions. The first step in the expansion of Portals was the acquisition of Bramshott Mill, at Liphook, Hampshire. Bramshott had an excellent paper machine, which was practically new (2 years old) and the same type of machine as the one at Laverstoke which made the Postal Order paper. Portals planned to devote this mill to the making of Postal Order paper. At first only a single shift was worked but after the First World War the mill operated continuously on a three-shift system employing from 80 to 100 people. Portals left at the end of their lease in 1924 and then purchased Stowford Mills at Ivybridge. In 1930 however, after a re-evaluation of the business, Portals sold many of their mills, including Stowford Mill, to Wiggins Teape (1919) Limited. Postal order paper had been briefly manufactured at Joynsons Mill, St Mary Cray in Kent, and also at Roughway Mill in Kent, but after 1930, Wiggins Teape transferred the business to Stowford Paper Mill, Ivybridge, having other plans for Joynsons and Roughway Paper Mills. The production book for Paper Machine No.3 at Stowford Paper Mill records a making of postal order paper in 1939. On Feb 24th, a batch of GVIR watermarked Postal Order Paper was made. A total of 12 reels amounting to 11991 lbs, taking 26 hours to manufacture at a machine speed of 140 ft/min. The next day, Feb 25th, a further 23 reels were produced, weighing 23426 lbs and taking 48 hours to manufacture. Postal order paper continued to be made at Ivybridge for the next few decades but during the postal strike of 1971, the companies who operated the very popular Football Pools had to appoint local collectors to deal with the coupons and the money, given the unreliability of the postal system. When the strike was over and postal services resumed, the use of Pools collectors continued which prompted a massive decline in postal order use. In the mid-1990s the postal order experienced a short-term renaissance with the launch of the online marketplace EBay. Postal orders served as a convenient and safe way to pay for goods purchased online. However, e-solutions soon superseded this paper based payment method so the increased demand was short lived. The manufacturing of security document paper represented a core business activity at Stowford Paper Mill. This was particularly so in the latter decades, where it represented around half of the product portfolio, with the mill recognised as a world leading supplier.